Repair jammed cd transport in McIntosh head-unit. 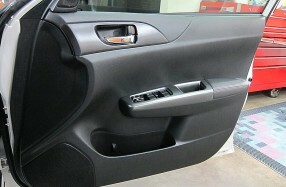 Repair speakers including subwoofer and finetune with custom audiophile crossovers. Cradle for Samsung and a Parrot hands-free car kit, music player. Full detail and polish to complete the job, for the new owner. 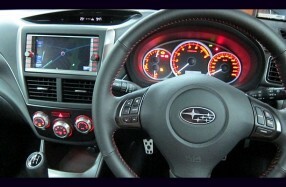 A very bland sounding, yet high quality McIntosh/Subaru sound system. Crossover, phasing and enclosure tuning did the trick! A 2006 W.A. prepared show car now living in Brisbane (2012) and a new owner. This car came to me in pieces. I was reluctant to take it on. Fixed, it was. Enjoy the sound. AVI FRM speaker components and Alpine amplification. 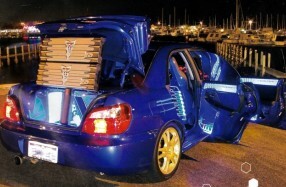 Brad's 2005 Subaru Liberty 3.0R McIntosh 6 disc with 4-way front stage. Replaced perished foam surround on rear shelf 8" sub-woofer. Added Parrot CK3000 bluetooth hands free and UHF radio. 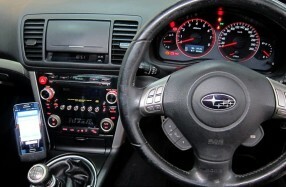 2003 Subaru Liberty. 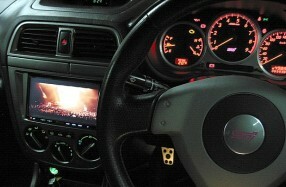 Add iPod integration to factory headunit. 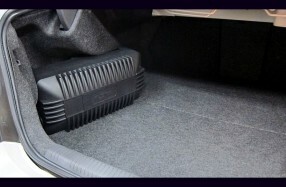 Active powered subwoofer in trunk. 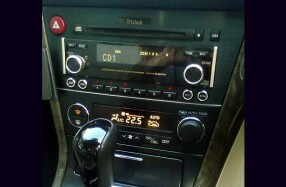 Kenwood AV headunit, AVI FRM-160 set, Soundstream subwoofer tube and JL Audio amplification. 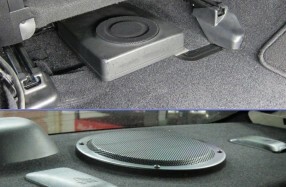 Improve sound quality of factory 10 speaker Kenwood Navigation system. Jibby's '08 Liberty - Make factory system musically accurate.